This post brought to you by Puerto Rico, The All-Star Island. The content and opinions expressed below are that of Tineey. A few things to make your stay in paradise even better, plus new never before published photos! Wow! 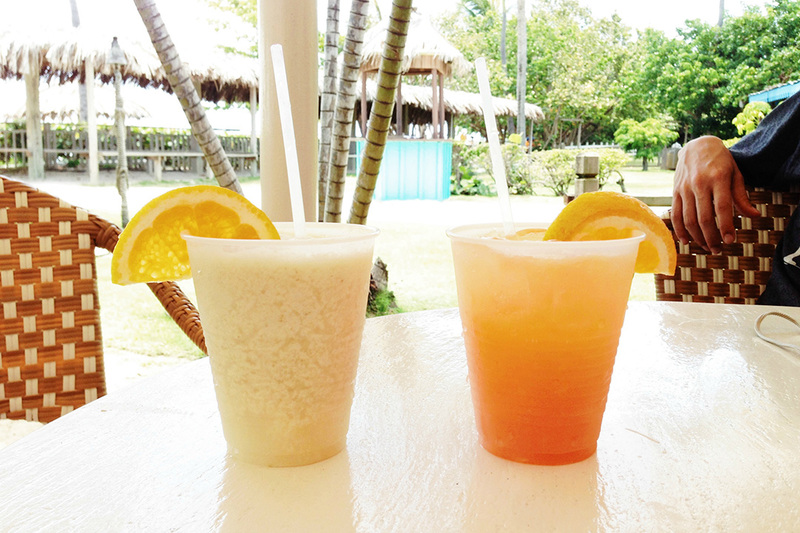 As we slowly melt out from winter’s grips, all I can think about is a sweet island getaway. The first place that comes to mind is Puerto Rico. As a New Yorker, the flight to San Juan is easy as cake, making it great for a weekend escape (no passport needed!) to the Caribbean. I had so much fun the first time I went to this beautiful island, so I’m sharing my top things that can’t be missed while you’re there. Puerto Rico is a destination with an activity for every kind of traveler. Personally, we love to luxuriate, adventure, and taste the culture. There is a plethora of world-class attractions, sights and accommodations. This is everyone’s favorite vacation activity. Puerto Rico has over 270 miles of gorgeous coastlines. There is nothing more spectacular than stepping into the crystal turquoise waters and smooth white sands. I was the happiest girl in the world during that moment. It’s beaches are a part Travel Channel’s Top 10! Grab a floatie or a beach chair and soak up the sun. It’s good for you. 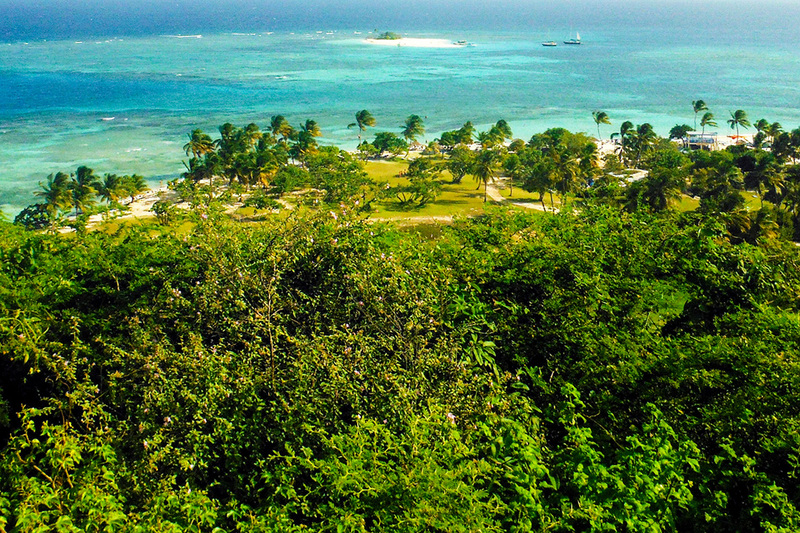 My favorite, on the private isla of Palomino. As a lover of the open seas, there’s nothing more liberating that a smooth cruise under the beating sun. 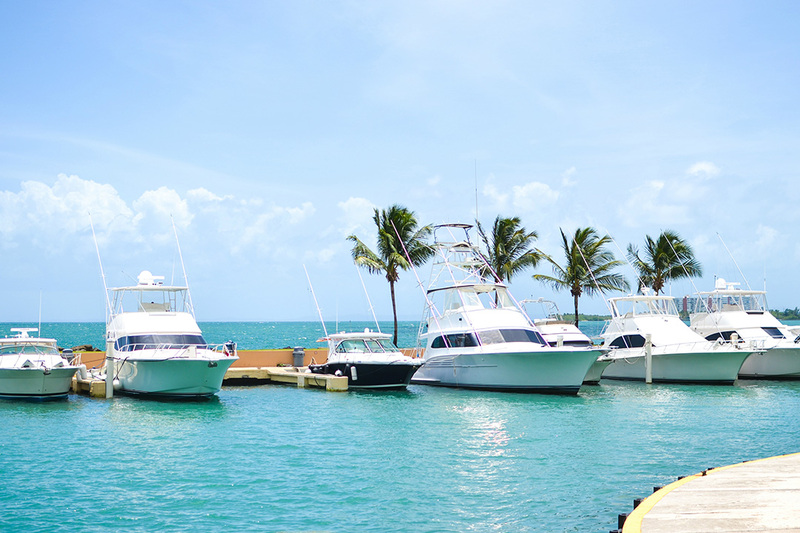 There are plenty of ports and marinas on Puerto Rico to rent a sail boat, catamaran or yacht. 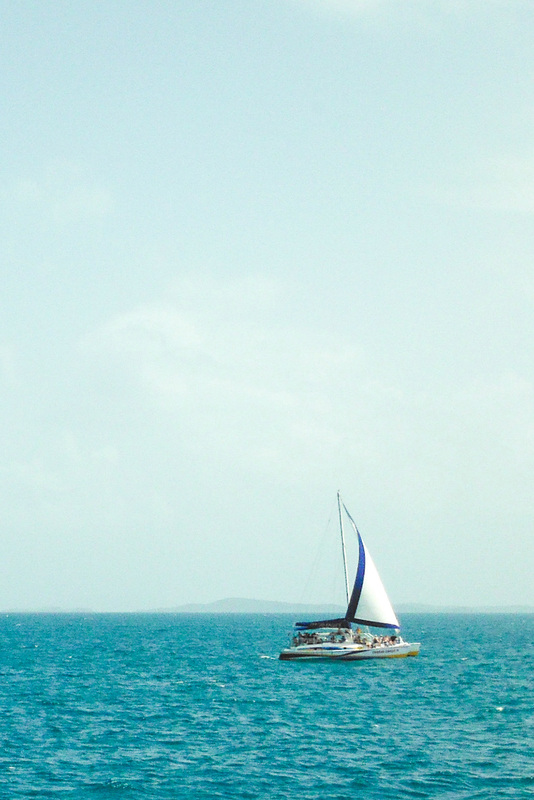 Hire a skipper and breeze through the Caribbean or get a lesson and learn to navigate the waters yourself. I absolutely love how soothing a sail can be. Being on vacation is the best opportunity to pick up a new sport. Since we are on an island, water sports are available everywhere. 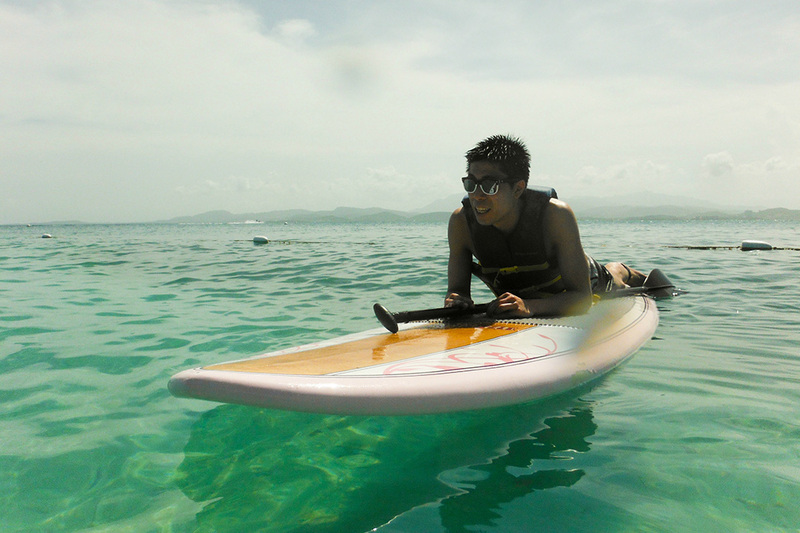 There are beaches for the most experienced surfers and novice paddleboarders (like me). 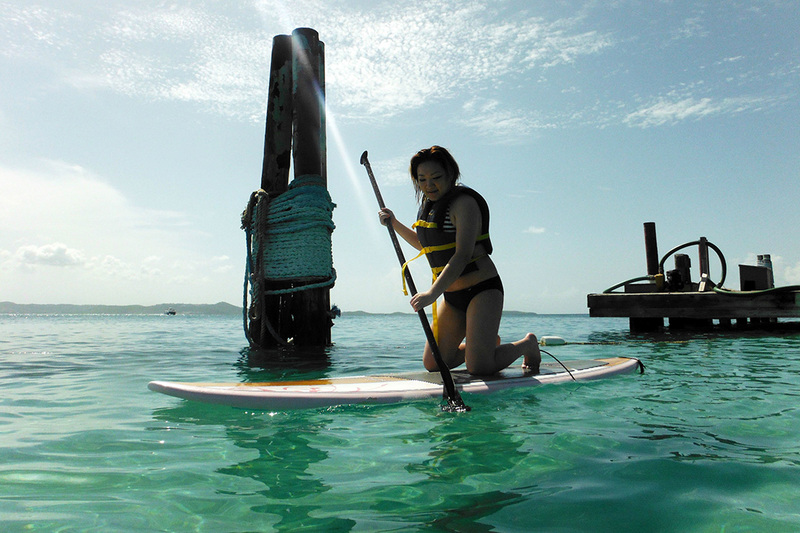 Plenty of rental and lesson options are available all over the island. This leaves me speechless every single time. If you love to swim, snorkeling is the best water activity. The amount of underwater life you see is truly amazing. 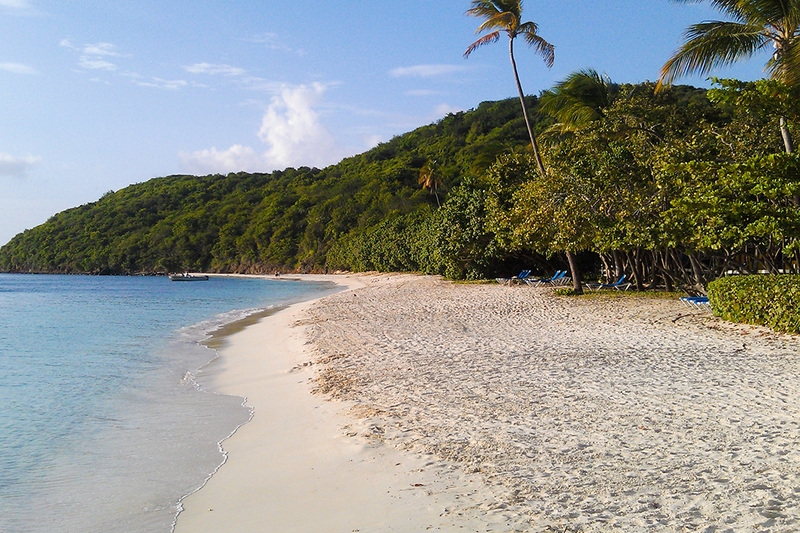 Puerto Rico has great beaches where fish will tickle your legs by the shore. There are also great reefs you can sail out to and discover the most colorful landscapes and ocean life. 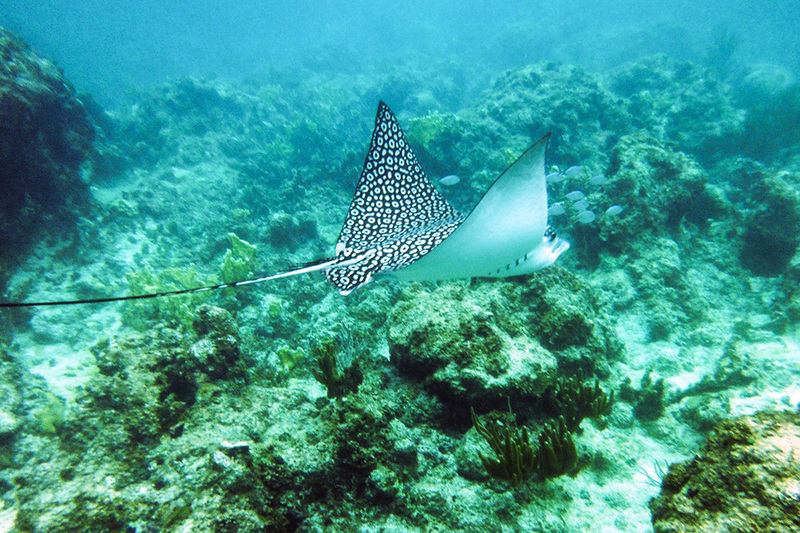 We saw this beautiful stingray snorkeling around Lobos Cay. 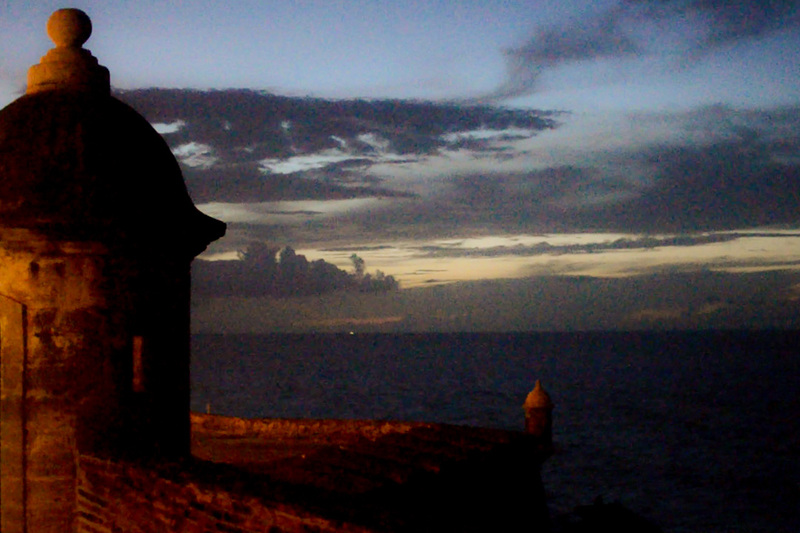 The old world charm of San Juan brings many visitors to its shores. If you love cruising, there’s a port that will bring you to this vibrant city. Discover the old part of town lined with colorful buildings and historic sites, including forts and castles. If you are up for an adventure, I highly recommend this activity. It can be a very inspiring part of your vacation. There are only a few known locations of bioluminescent bays in the entire world and Puerto Rico has three of them. Single-cell organisms called dinoflagellates emits a glow in the waters and can be seen at nightfall. Avoid a full moon, and you can literally watch an entire body of water light up around you in the pitch darkness. 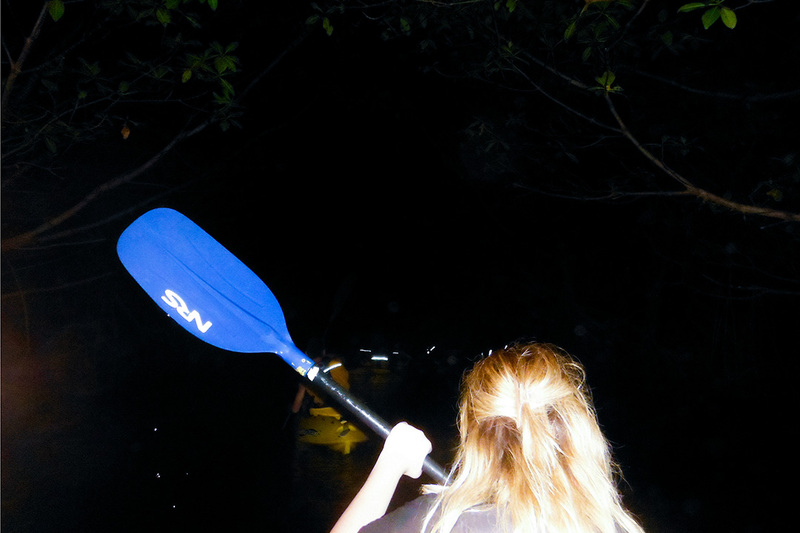 As we kayaked through the Laguna Grande, the water lit up with a constellation of glows as our paddles disturbed it. Magical. 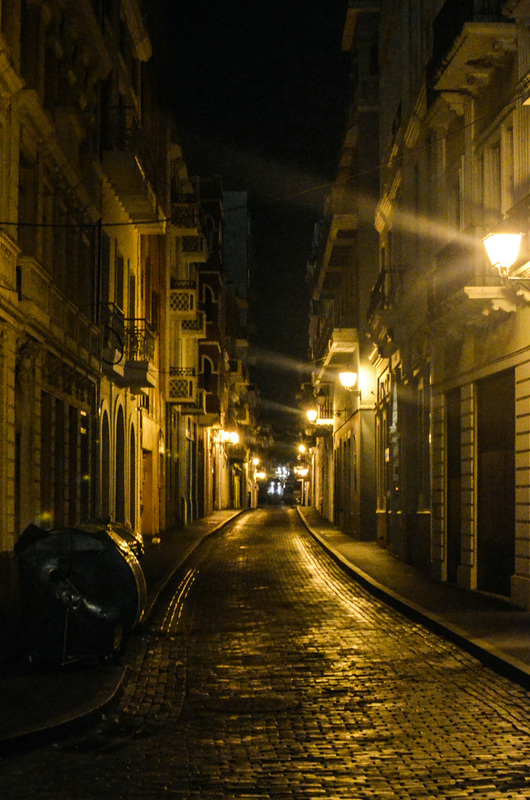 Puerto Rico is the Rum Capital of the World. This is a great time to enjoy a few drinks and learn more about the distilleries on the island. Besides the cocktails you’ll have, Puerto Rican food is delicious and savory. Please have a dish of mofongo for me! There’s nothing like having a rainforest in your backyard. Hike the trails of El Yunque National Forest, and see a variety of wildlire and immerse yourself in nature. We would hear the coqui tree frogs, see birds and cool off under the waterfalls. After a long day on an adventure, I love coming back to a great living space and ultra comfort. After all, you are on vacation! 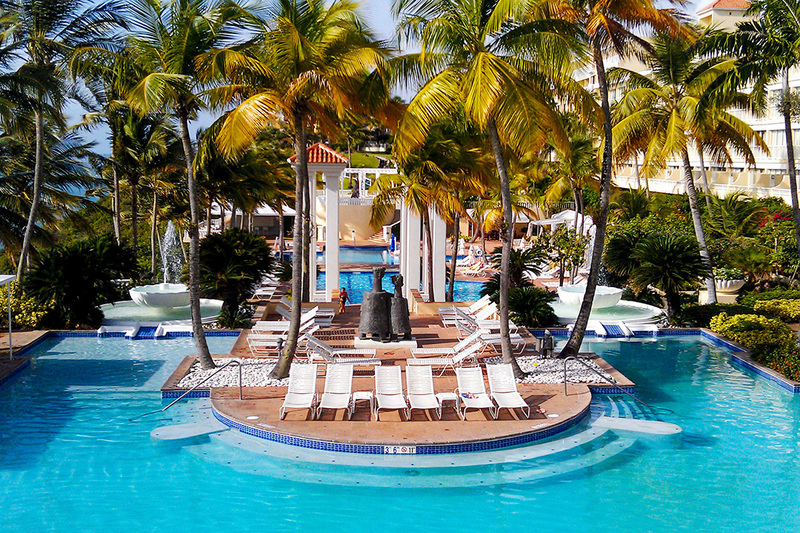 Puerto Rico has a nice list of luxurious resorts with the best spas and service. There’s nothing quite like getting a massage after a good hike or water sport. We stayed at the Waldorf Astoria resort in Fajardo and it was everything we’d imagined a getaway to be. Next time we go back, I have my eye on the W on Vieques Island. Puerto Rico has an amazing amount of retail stores, malls and outlets to shop from. Since we rented a car, we were able to drive from the luxurious shops of Condado, to Plaza Las Americas (the largest mall in the Caribbean), and the Premium Outlets. There’s much to shop and bring home! We definitely brought back some souvenirs. Plus, it doesn’t get easier needing only the US currency here. So, those are my top ten must-do’s in Puerto Rico. I made sure these were on my itinerary and I can’t wait to vacation here again! Any one of these activities will give you a 5-star getaway, and you deserve it! For even more ideas and information about the island, visit seepuertorico.com. Have you been to Puerto Rico? If you are planning a trip here soon, what is on your list? Let me know! This makes me wanna go back so bad! My parents are from Puerto Rico and as a kid, I spent my summers there. 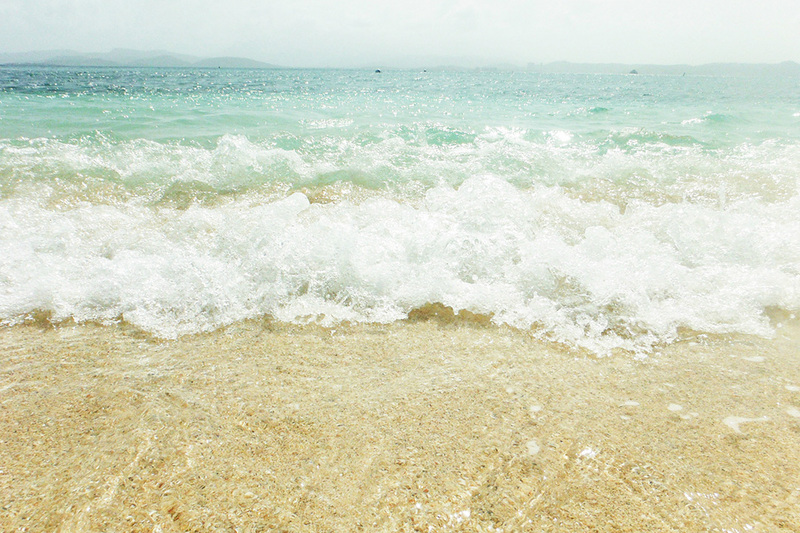 Never get tired of those beautiful beaches, delicious food and awesome people :) It’s my home away from home. Puerto Rico was amazing and I adored going there! I went this past summer with my friend and I think the vibe is just incredible!